For much of the twentieth century, however, the Faculty was dominated by a number of outstanding individual scholars whose contribution laid the foundation for its current high reputation. These include Regius professors in English Language and Literature; John Nichol a scholar of both Scottish and American literature; A C Bradley (1889-1900), a towering figure in modern Shakespearean criticism, his outstanding work being Shakespearean Tragedy (1904), which has been described as 'the single most influential work on Shakespeare ever published'. Both Sir Walter Raleigh (1900-04) and W Macneile Dixon (1904-35) were not only highly reputable scholars but creative writers of distinction. Peter Alexander (1935-65), author of seminal texts such as Shakespeare's Life and Art (1939), Hamlet: Father and Son (1955), and editor of the Complete Works of Shakespeare, published posthumously, the universally acknowledged standard edition in its time. 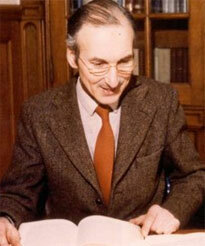 In the Department of English Language, Michael Samuels (1959-90) initiated work on the Historical Thesaurus. Sir Robert Rait, the first incumbent of the Chair of Scottish History and Literature established in 1913, became Principal of the University (1929-36) and, like his successor in the Chair, J D Mackie, (1930-57), was a distinguished Historiographer Royal of Scotland. In more recent times, the work of Archie Duncan (1962-93) on the history of Medieval Scotland and Ted Cowan (1994-2009) on Scottish Popular Culture and Folklore has brought distinction to Scottish History. 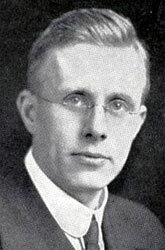 In Modern History, Esmond Wright (1957-67) was a leading authority on the American Revolution. A founding father of the British Association of American Studies, and organizer of the first international conference on the American loyalists, he was awarded the Franklin Medal by the US government in 1982. Wright was briefly the Conservative MP for Glasgow Pollock (1967-70), and has been called the first 'media don'. 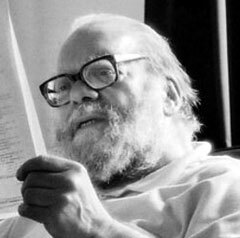 The clarity of his thought and his witty lecturing style contributed to his mission to disseminate the fruits of scholarship on radio and television. Both Professors of Logic and Rhetoric, Herbert James Paton (1927-37) and C Arthur Campbell (1938-61) made major contributions to both ethics and metaphysics. Paton's explication of the work of Immanuel Kant - The Metaphysic of Experience (1936) - is still regarded as a major work of philosophical scholarship. Campbell, in his principal publications, Selfhood and Godhood (the subject of his Gifford Lectures, 1957) and A Defence of Free Will (1967), developed from his inaugural lecture at Glasgow, argued strongly for the autonomy of the human spirit against the prevailing academic orthodoxy of empiricism. The Department of Moral Philosophy enjoyed the leadership of a series of outstanding scholars, including Sir Hector Hetherington who became Principal of the University, Baron Oliver Franks, William Maclagan, an inspirational teacher, and more recently, Robin Downie, a pioneer in the field of medical ethics and the employment of the humanities in medical education, and Alexander Broadie, currently a world leading authority on the Scottish Enlightenment. Gilbert Murray (Greek,1889-99) was particularly noteworthy for his translations of Greek drama, in particular the plays of Euripides, many of which formed a key element of the repertoire of the pioneering Granville Barker management at the Court Theatre, London (1904-7). These translations reintroduced Greek tragedy to the British stage. A Whig-Liberal, Murray was actively involved in several major political movements, most significantly the founding of the League of Nations, although he was never successful in his attempts to enter Parliament. He refused a knighthood, but was awarded the OM in 1941. The achievements of these scholars and other Faculty members in the twentieth century left their legacy in the creation of centres of research excellence, which include: The Andrew Hook Centre for American Studies; The Edwin Morgan Centre for Creative Writing; The Centre for Cultural Policy Research; The Centre for Scottish and Celtic Studies and The Humanities Advanced Technology and Information Institute. The twentieth century was also a vibrant and innovative period for the performing and creative arts in the University. The Gardiner Chair and, in effect, the Department of Music was created by an endowment from William and Frederick Gardiner, shipowners in Glasgow, in 1928. The Department of Fine Art (now History of Art) was founded in 1949; the Department of Drama (now Theatre, Film and Television Studies) in 1966, and the Department of Scottish Literature, the first (and still the only) department in the world to engage with the literature of Scotland as a separate discipline, in 1971. While the extension of the Faculty of Arts to embrace such disciplines was in part a sign of the times, all four owe their inception and their continuing successful development to the vision and leadership of their founding fathers. The first incumbent of the Gardiner Chair in Music, William Gillies Whittaker, raised the subject to degree status during his term of office (1930-41). 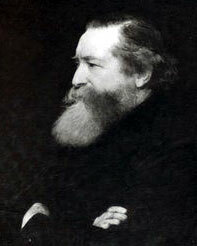 Whittaker as the Gardiner Professor of Music was also Principal of the Royal Scottish Academy. The joint appointment existed until 1952. 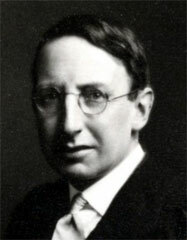 Both Whittaker and his successor, Sir Ernest Bullock (1941-52), were primarily interested in choral works, and the latter was responsible for the celebrated anthem 'Give us the Wings of Faith'. Robin Orr (1956-66) initiated the University's ongoing commitment to the development of classical music in Scotland, particularly in his promotion of the cause of contemporary music. When Alexander Gibson became conductor of the Scottish National Orchestra, Orr enthusiastically helped him with his Musica Viva series of concerts which included the works of Stravinsky, Schoenberg and Stockhausen, and many Scottish composers including Iain Hamilton and Orr himself were given a platform. 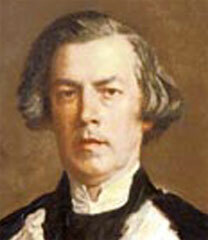 Orr was a passionate and influential supporter of Gibson's ambition to launch a Scottish opera company. When the project became reality he was elected chairman, and remained an active participant in its planning, programming and fund-raising. Three of Orr's operas were mounted by the Company, Full Circle (with a libretto by Sydney Goodsir Smith) in 1967, Hermiston in 1975 and On the Razzle in 1986. Four decades later, it is still one of the most adventurous and successful of British opera companies. His successor, Frederick Rimmer came to the University in 1951 as a Cramb Lecturer, and became University Organist three years later, when he reformed the Chapel Choir and founded the Glasgow University Choral Society. He was appointed to the Gardiner Chair in 1966. He continued and developed the close association with Scottish Opera as a Director of the Company, and together with Gibson founded Musica Nova in 1973. Rimmer was also responsible for the foundation of the Scottish Music Archive (now the Scottish Music Centre) in 1969, and in collaboration with his colleague, Kenneth Elliott, wrote the definite History of Scottish Music in 1973. The Department's commitment to Scottish music and to music in Scotland has not diminished, as it has maintained links with professional orchestras and ensembles and its current staff includes composers, conductors, and performers as well as scholars of musicology. Andrew McLaren Young, who was invited to come to Glasgow as a lecturer in order to establish a new department in 1949, became the first Professor of Fine Art in 1965, with the endowment of a chair by Sir John Richmond. An expert in the work of James McNeill Whistler, he laid the foundations for the University's current international reputation in Whistler studies, One of the two major public collections of his work is housed within the Hunterian Art Gallery. Some 7500 of Whistler's letters and papers, together with his own publications and a specialised reference collection of over 1,800 volumes, are preserved in the Department of Special Collections in the University Library. James Arnott, who had been involved with James Bridie in the founding of the College of Drama in 1950, and had initiated what was then a mandatory University theatre history course for its students, was a senior lecturer in the Department of English Literature, before founding the Department of Drama. Arnott's, A Bibliography of English Theatrical History (1971) remains the 'bible' of primary source material for theatre historians. His scholarly reputation and high profile in national and primarily international institutions devoted to the academic study of theatre swiftly brought the new department 'centre stage'. In 1982, with the introduction of a full range of courses in Film and Television Studies, the name was changed to include these subjects. With the support of the University Librarian, Henry Heaney, members of the department were responsible for the foundation of the Scottish Theatre Archive whose collections of playscripts and original manuscript material remain an invaluable source for scholars and professional practitioners and have assisted in the burgeoning of theatre in Scotland. Alexander Scott, after a distinguished war record-he was awarded the Military Cross-came to the University in 1948 as the first lecturer in the newly introduced subject of Scottish Literature. With the support of the then Professor of Scottish History, he was instrumental in the creation of the Department in 1971, the first in the world. Although Scott wrote both poetry and drama, it was primarily as an enabler of others and as an indefatigable campaigner for the dissemination of Scottish culture that he is primarily remembered. 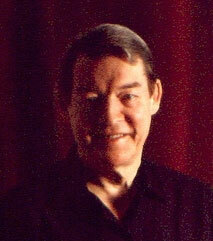 Douglas Gifford was appointed to the first Chair in Scottish Literature 1995. The present holder of the Chair, Alan Riach, is a distinguished poet as well as a scholar and critic. The qualities of innovation and leadership in the creative arts were not solely the preserve of the new departments. 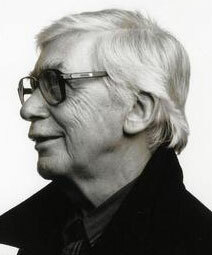 The individual talents of Glasgow dramatists, novelists and poets were crystallised in the creation of The Edwin Morgan Centre for Creative Writing in the Department of English Literature, named in honour of Edwin Morgan, currently Scotland's 'Makar' or National Poet, a graduate, lecturer and professor of the Department of English Literature until his retirement in1980. The Centre was founded in 1995 by Professors Philip Hobsbaum and Willy Maley. Distinguished writers who have been associated with the Centre as teachers and advisers since its inception include Alasdair Gray, James Kelman, Tom Leonard, Liz Lochhead and Janice Galloway. The list of graduates is impressive: Rachel Seiffert was shortlisted for the Booker Prize in 2001 for her novel, The Dark Room; Jen Hadfield won the T S Eliot Poetry Prize for her collection , Nigh-No-Place, in 2008; Anne Donovan was a recipient of the Canongate Prize for her collection of short stories, Hieroglyphics (2001) and her first novel, Buddha Da was shortlisted for the Orange Prize (2003). Louise Welsh, author of The Cutting Room (2002), Tamburlaine Must Die (2004) and The Bullet Trick ( 2006) is regarded as one of the most gifted writers of crime fiction in contemporary Scotland. Bearing in mind that Glasgow University was originally a Church foundation based initially in St Mungo's Cathedral, Divinity (or Theology) has been taught here since the university's inception in 1451. Although officially teaching in the Faculty was only available to members of the Church of Scotland, the University was sympathetic to seceders and allowed them to use the College Fore Hall for their own classes. Up until the 1970s, the Faculty of Divinity was a higher one, that is: only students who were already graduates were admitted to study in it. Originally there was only one professor in Divinity, but in the early eighteenth century chairs were added in Hebrew and Semitic Languages and Ecclesiastical History. Following the Enlightenment and the increasing trend to secularism in the nineteenth and twentieth centuries, both the Church and Christianity gradually diminished in prestige, power, and authority. This meant that the Faculty of Divinity, which provided postgraduate higher education mostly for future ministers of the Church of Scotland and other Presbyterian Churches at home and abroad, shifted from its central role in the University. It gradually became one, and numerically the smallest, of many other faculties in the University. By the 1990s, the viability of the Divinity Faculty was seen as no longer sustainable in terms of student numbers, staff and administrative resources. At that time, the Faculty was merged with the Faculty of Arts, in which the subject area continued in the form of the Department of Theology and Religious Studies or School of Divinity. In 2010 it joined forces with the subject areas of English and Scottish Language and Literature to form the new School of Critical the College of Arts. The strengths and status that the traditional university divinity faculty used to have had been affected by the split ('Disruption') within the Church of Scotland in 1846, which had led to the creation of the Free Church of Scotland along side the continuing or old Church of Scotland. As with the historic divinity faculties in Edinburgh and Aberdeen (although not St Andrews), this led to the establishment of vigorous Free Church Colleges locally and separate from the universities. These were therefore rival colleges for higher theological studies. For the university faculty, this meant a loss of nearly 50% of new students per year. In Glasgow, the Free Church College was erected near Park Circus opposite Gilmorehill, and later became known as 'Trinity College'. It is acknowledged that in terms of teaching, research, innovativeness and appeal to international students, the Free Church College was superior to the university divinity faculty. By 1900 it was in its hey-day, when it had 110 students compared to about 50 in the university faculty. Several of the College staff were of international renown, such as George Adam Smith, Thomas M. Lindsay, James Moffatt and James Denney. The only comparable figure in the university faculty at the turn of the century was John Caird, one of the last Principals who were also theologians, and brother of Edward Caird, the influential Hegelian professor of Philosophy in the University of Oxford. Things changed for the better in the 1930s, at least on paper. Following the reunion of the Scottish Churches in 1929/30, Trinity College and the University Faculty of Divinity reunited and pooled their resources in 1935 as part of Parliament's Universities of Scotland Act. However, it took a long time for normality to establish itself - only by 1976 when Trinity College buildings (still owned by the Church) were finally vacated. Until then, physical, teaching and library resources were still inconveniently split. After 1976 all Divinity teaching took place in the university, firstly at premises in Southpark Terrace, and then at No. 4, The Square, in the heart of the university. In the twentieth century and in the reunited Faculty of Divinity, there were some staff and students of great distinction or note in various ways. In the late 30s, the Professor of New Testament Studies, George H C MacGregor, gained notoriety as an advocate of and writer on pacifism. A Professor of Divinity in the 1960s, Ronald Gregor Smith, caused much controversy due to his radical theology that anticipated a 'church without walls'. A figure of unparalleled popular and world wide impact outside the academy in the 50s and 60s was William Barclay in New Testament Studies. He not only appealed to non-academic audiences due to his accessible writing in his prolific output, he also was one of the first academics in any field to master the medium of television with great effect due to presentation skills and his rugged personality. 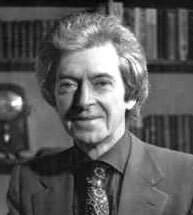 An eminent Church historian in the 70s and 80s of international standing was William H C Frend, one of the few theologians in modern times to become a Fellow of the British Academy, for his work on early Christian Archaeology. Such a distinction was also attained by three former Glasgow divinity students. Two became eminent professors of Biblical Studies in St. Andrews, Matthew Black and William McKane. The third, who for a time was also a lecturer here, was the famous theologian, philosopher and Gifford Lecturer, John Macquarrie. He moved to New York and later became Lady Margaret Professor of Divinity at Oxford. The Faculty of Arts was the only faculty at the time of the University's foundation in 1451 which taught undergraduates. It originally provided teaching in Latin, Greek, Moral philosophy, Logic, Mathematics and Natural Philosophy. The 20th century was a period of considerable change for the Faculty of Arts evidenced by an increase in the number of its academic disciplines, the establishment of new chairs, and, in the context of an overall growth, a shift in the subject choices of the student population. Subjects introduced to the Arts curriculum for the first time include History of Art, Music, Drama, Film and Television Studies, Cultural Policy, Education, and Psychology, and new chairs were founded in all these disciplines as well as in French, German, Italian, Hispanic Studies, Medieval History, English Literature, English Language, Scottish History, Scottish Literature, and American Studies. In addition, as the result of the generous benefaction of Sir Daniel Macaulay Stevenson (Chancellor, 1934-44), four chairs in Modern Languages were created; Italian and Spanish (1924); French (1966) and German (1974). In 1974 the Department of Russian, initiated by the endowment of a lectureship by Sir William Weir, was expanded with the establishment of a chair in Slavonic Studies. 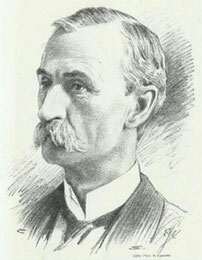 Under the leadership of Alan Boase (1937-66), the Department of French Language and Literature) became one of the largest and most distinguished in Great Britain. This expansion, together with the need to meet (and exploit to advantage) the various and varying demands of governmental policy for Higher Education, the establishment of the Arts and Humanities Research Board (now Council )in 1998, and the rapid progress which the University has made in the harnessing of new technologies in the service of arts research, resulted towards the end of the century in the creation of important Faculty wide research initiatives involving both traditional and 'new' departments, many of which have forged international links and gained world wide recognition.